Update: You can also trade-in your old smartphone to get the Samsung Galaxy Note 5 or S6 edge+, details after the break. 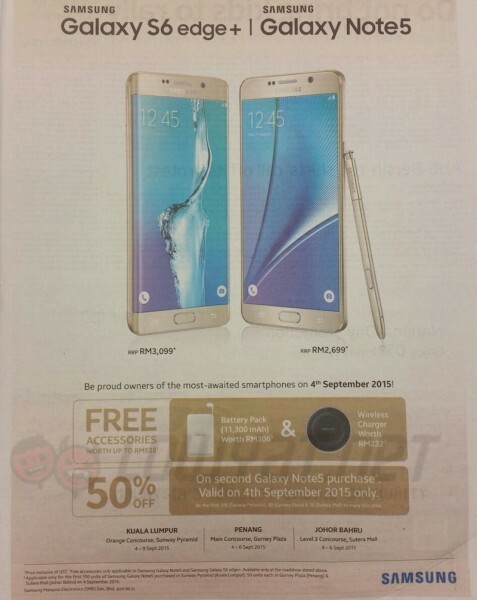 The Samsung Galaxy Note 5 and Galaxy S6 edge+ will be launched in Malaysia next week, 4 September 2015, and if you were hoping to get yourself one, you better visit their roadshows happening in various locations across the country. 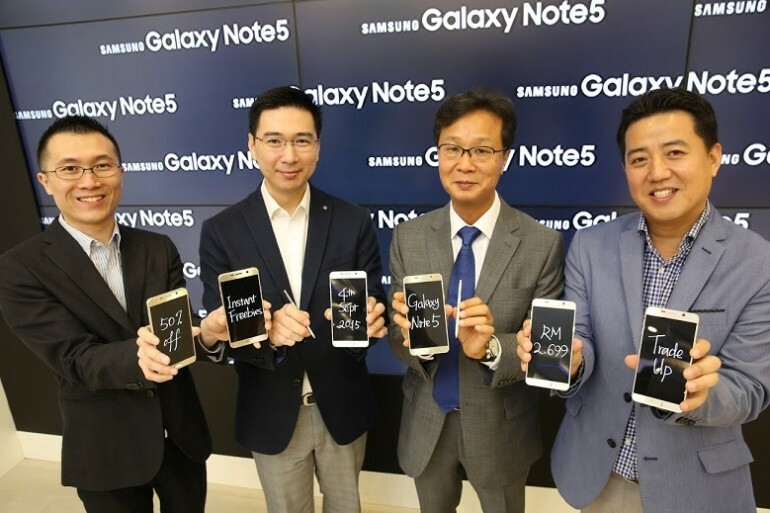 Samsung Malaysia is offering free accessories worth RM538, as well as a 50% discount on a second Galaxy Note 5 purchase. You better be quick though, the 50% discount on second Galaxy Note 5 is only valid for the first 100 customers in Sunway Pyramid, and first 50 each for Gurney Plaza and Sutera Mall. The free wireless charger and power bank is only valid at the roadshows stated above and is available for both devices (while stocks last). Are you getting the new flagship phablets from Samsung? If so, which one?